Verdict: Utterly disappointing. Beautiful video game-standard CGs but failed to make good use of cliches, and to tell a simple story as well as the recent comic-based films. 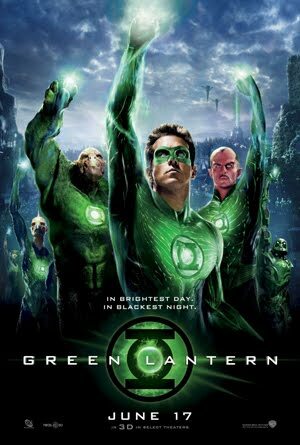 The imagination of the Green Lanterns is the only limit to the power of the ring and ironically, the makers of this film have failed to impress due to their limited imagination. Sad to see a great actor like Tim Robbins to be involved in this rubbish. However, they managed to emphasize Blake Lively’s hotness effectively. It’s perhaps the only one thing here that I’m completely pleased with. Trilogy? No, thanks. I don’t believe there’s any interesting element left to offer from this title. He looks like… a fitter Ben Stiller with mask on. Wow… English is literally a universal language! The ring serves as a translator for Hal but Sinestro’s conversations with the council are in English too. Post-credit scene: Predictable. Don’t bother waiting up for it. Aiks~ should I still go for the movie?? LOL!! The movie was well done, very graphic, I think that the suspense is there all the time. It is definitely worth watching. Download it from reliable site http://www.torrentoff.com. Free! Rubbish, you say? 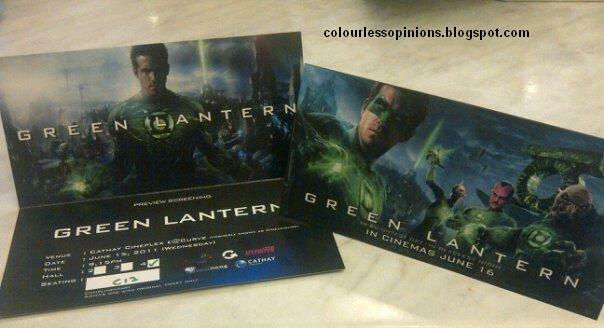 Wow, I don't really have much expectation for GREEN LANTERN either especially after watching a series of trailers. Well, let's see if I agree with your point-of-view when I watch it this weekend.